An incredibly lightweight adventure sport shoe. The lacing allows for quick and easy entry for those athletes who are looking for the extra speed. It consists of a rubber band that ensures a secure grip. 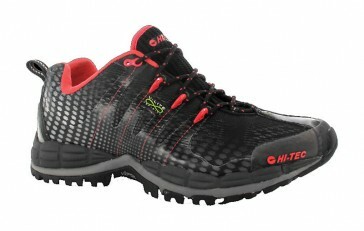 The upper of this shoe is made of high quality synthetic and this makes him extremely breathable while waterproof. The S.U.Z.E. Mesh upper fits perfectly to a woman's foot and has an improved fit and comfort.